I had resorted to this calmness on mobile phone review for some time now, but having the Infinix zero (X506) rolling into the Nigerian market got me writing again. Firstly i wish you all a happy Christmas celebration since i have not been around the Maga movement for a while. Yea! i heard about the introduction of the Infinix zero and thought it wise to hold on for a while before writing about it. I actually wanted to have a hands-on review on the mobile phone though but due to the delay faced lately, i had to wait until i had received the mobile phone from the online store i ordered the phone from. Now here is what i think of the phone. Infinix really did a great work on the mobile phone and that is why i must appreciate every piece of metal, plastic and wire put together to clone the phone. Now here are some of the important specs i think everyone should be looking at, and this is what has made the phone look exceptional. Boasting a 13 mega pixel camera, the Infinix zero takes amazing pictures even in low light conditions. Shoot anytime, anywhere for bright, sharp photos.The camera quality of Infinix is quite awesome. On the back it has a camera quality of 13mega pixel and a front web camera of 5Mega pixel.I took a shot of myself with the phone and it was almost impossible to believe that the reflection of myself was totally great. You can see the picture on my facebook timeline. The mobile machine has 2 gig allocated Ram to the user and a 16Gig internal memory. One great thing i love about this innovation is the fact that you can actually play heavy games while multi-tasking other applications without any freeze as synonymous with other phones. If you are a gamer, then you have no other choice than purchasing the likes of the Infinix zero. Totally amazing is what i have to say regarding the design of the phone. Very slim and long. I am not so much great telling dimensions but the fact that the phone is handy has solved the major problems we are having. The Infinix zero came in three different colors ( Black, White and Gold). The white and gold is my favorite color. The sense of color is all dependent on the choice of the individuals. Infinix zero has an Octa - core processor with an outstanding performance. It can run 3D games and HD videos with ease. Plays both deep and high pitched sounds clearly without the use of additional speakers.Amazingly it comes with a gorilla glass so you have nothing to be afraid of. 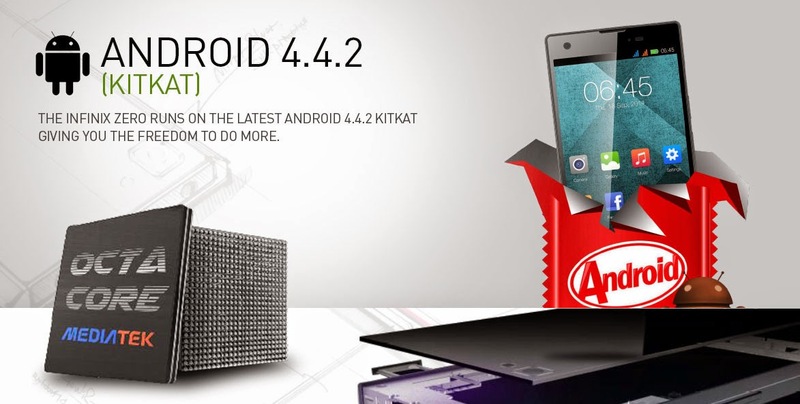 The Infinix zero runs on the latest Andriod 4.4.2 Kitkat giving you the freedom to do more. Though the battery does not last longer, but that can be substituted for the free power bank that comes with the mobile phone courtesy of your patronage from Konga.com. 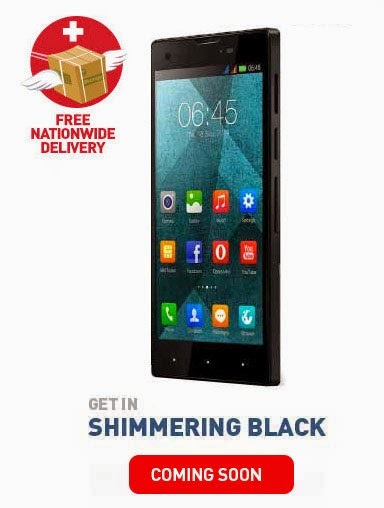 You can buy the infinix zero for N24,900 from Konga. Please note that price may differ at any point in time. Share your story about the product now. Use the buttons below and do not forget to drop your comments. Looks wonderful. I guess I'll have to check its video specs. Battery backup seems better than other mobiles.